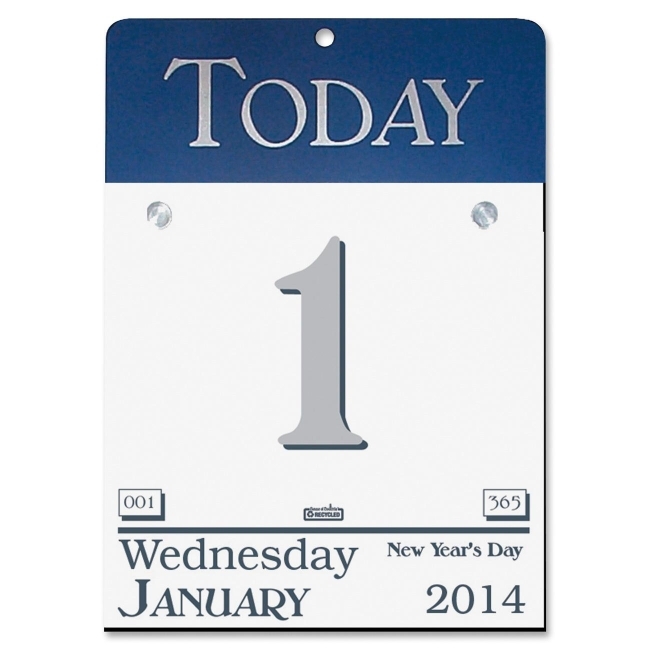 Today Calendar clearly marks the day with a bold, large date and daily details. Dated calendar pages range 12 months from January to December. 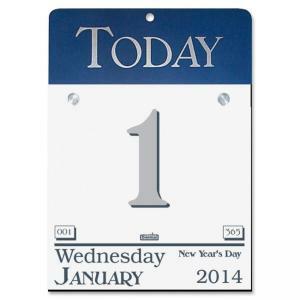 One-page-per-day format includes the day, month and year in large lettering as well as holidays and count of days/days remaining. The refillable base is a rigid, blue vinyl backboard with an eyelet to hang easily on your wall. Pages are printed with soy inks and made of a high-percentage of recycled post-consumer material.